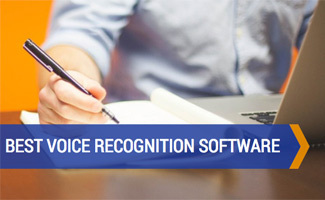 Home > Business > Communications > What Is the Best Voice Recognition Software? Imagine being able to simply chatter away at your computer and have it do all the typing for you. Not only could you get more done, but you could potentially save yourself from carpal tunnel syndrome, back and shoulder problems, and other issues associated with typing and use of your hands. So if you’re in the market for the best voice recognition software, who should you go with? Read on to find out our recommended pick and why it’s so great. Voice recognition software has been around for a while now, but only recently has the technology reached a point where it can effectively replace typewriting. What we mean by this, is that voice recognition software can now effectively recognize different dialects, accents and inflections, while learning from your voice and speech habits as you use the software. According to Chron.com the average person types between 38 to 40 words per minute. 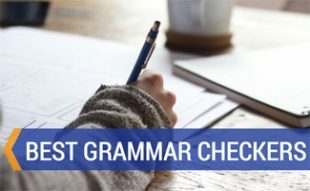 You may type as fast as 90 words per minute, that it is nearly impossible to type faster than you naturally speak – especially without making mistakes. Current voice-recognition technology can easily keep up with the natural pace of your voice, which averages 120 words per minute, but can exceed 140 words per minute. 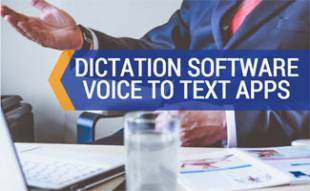 What Is the Best Voice Dictation Software? What’s the best speech recognition software? The most common, and in our opinion useful, voice recognition software package for everyday use is Dragon NaturallySpeaking. Dragon NaturallySpeaking (DNS) has undergone many developments in advancements over the years, and at the time of this writing is at version 15. DNS is hands down the most advanced and comprehensive voice recognition software on the market. 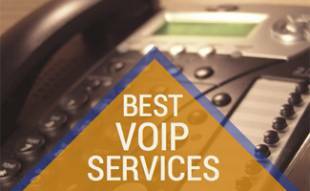 What can Dragon NaturallySpeaking do that makes it the best in its class? On a fundamental level, DNS excels by simply being the first software to effectively and correctly recognize what you’re saying, regardless of your accent, dialect, or inflection. When you first install the software it will run a number of tests, ask you about your language and speaking background, and then adjust based on your preferences. What Are Some of the Advantages of Dragon NaturallySpeaking? Nuances DNS, for one, never makes a spelling error, so you don’t have to worry about constantly proofing your documents. In addition, you are able to not only have your voice recognized and converted into text, you’re also able to navigate around your document, or web browser, desktop, and e-mail – and execute various commands that would normally require a mouse. If you have to, you could rely exclusively on your voice recognition software for performing the majority of your computer tasks. We find, however, that the optimal solution is a combination of mouse, keyboard, and DNS. 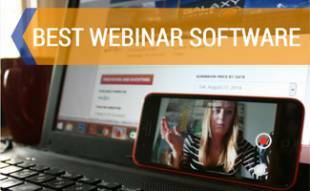 Watch this quick video to see what’s possible with Dragon’s NaturallySpeaking software including formatting text, sending emails and more. How Much Does Voice Recognition Software Cost? That depends on the quality of software you’re looking for. Dragon NaturallySpeaking costs more than some of the free voice recognition software packages out there, but you get what you pay for. DNS is also available in different packages offering different support options at various price points. For example, you can opt to add support for the EMR’s (for medical use), Microsoft Office(Outlook, Outlook Express, Excel, Word, PowerPoint, etc. ), and Lotus Notes. Support is included in all versions of Dragon NaturallySpeaking for Internet Explorer, Mozilla Firefox, AOL, Microsoft Word, Mozilla Thunderbird, and InfoPath. You can also opt for Section 508 certification. Check Dragon NaturallySpeaking‘s website for the latest pricing. At this time we are not aware of any Dragon Naturally Speaking Coupon Codes. Here at We Rock Your Web, we use Dragon NaturallySpeaking 12. In fact, I am currently dictating this entire article using it. And I’m able to get it done in about a third of the time. Where our voice recognition software really comes in handy, however, is in its learning capabilities. For example, while speaking this document, we initially had to tell DNS to write NaturallySpeaking as one word, and to capitalize it. However, it has meanwhile learned to do that on its own. This really comes in handy over time, as DNS adjusts to your vocal pattern and speaking habits. Have you ever used dictation software? A useful English speech recognition software ‘Wave To Text v5.2’. Helps you convert your voice to text in real-time, while the program’s wizard enables you to convert your Windows Audio WAV files (speech recorded) offline. The new version, version 11, has just been released too, except they changed the versions around. Now there is the Home version (no mobile recorder support), Premium and Professional versions. The new changes are pretty good in the new software too, and it was a good move simplifying the versions. A full list of changes for version 11 can be found at dragon. Just a heads up to get the Premium or Professional version of Dragon Naturally Speaking 11 if you want to have the recorder support.